I just got back from a great vacation in Hawaii, and while we were away, my friendly toddler was playing with a very nice kid at the park, and this child’s mother was giving her daughter a snack of dried mangos from a packet. My toddler asked (politely!) for some too, and promptly got hooked. Ten bags later, we’re all hooked. 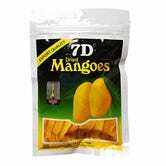 7D Mangoes are delicious! We ate them in the car, at the beach and on the plane on the way home. But we started to panic somewhere over the Pacific as we realized we’d already eaten almost all of the supply we bought to enjoy at home. We tried another brand here in New York, and it was not good. I craved them so much, I tried to call ABC Stores in Hawaii to see if they could pack and ship them, but to no avail. And so, Amazon to the rescue! 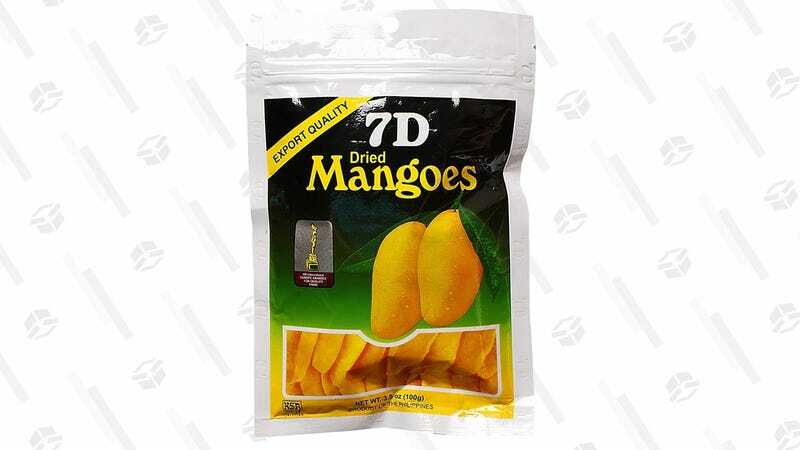 I ordered a pack of six, and every slightly chewy, mango-y piece transports me back to vacation (at least until I realize that I’m trapped in the subway, IN THE POLAR VORTEX, at work, eating a sad desk lunch, etc.). Get yourself the six-pack, or if you don’t want to commit, get one bag, but don’t cry to me when you realize your 3+ ounces are gone).